This Mother's Day I was able to serve with RED EYE, a non- profit pioneered by my new friend Justin Mayo. What a humbling and eye opening experience it was to drive through the fashion district of LA only to arrive in a section of forsaken streets known as "skid row". Suitcases, grocery carts, abandoned buildings, and hundreds of "homeless" lined streets. We came to offer them a day of pampering and beauty revival in many ways. We set up make-up stations, hair stylists, nail "salons", and of course a mall to shop for new outfits. What woman does not love all the above!? A truth trickled down into my heart that was exposing and challenging as soon as the scene began. Without much thought it was ( and is) easy to categorize "them" as homeless, service projects, or charity causes. But on Mother's Day 2012, I saw mothers, women, daughters, and sisters. God reminded me of their humanness. They are not homeless but human. They have stories, heartaches, longings for manicures and babies crying in strollers but just don't live how and where I do. As I scanned racks of donated designer clothes with these women, I was moved to see them for who, not what, they are. It was an honor to be their "stylist" for a day. Photographers snapped memories as the day concluded with a RED carpet strut for these beautiful women. In Montgomery Alabama there was a myriad of high school girls and leaders waiting on me as I drove in with tissue box clutched, a raw rudolph nose, and a thermos of hot tea in tow. I was praying and believing for the miracle of II Cor. 12- for in my weakness He was going to be strong. He had to be... there was nothing left in me. "Faithful is He who called and He will do it"... well I was banking on that! With the worst cold I have ever had on a speaking engagement of this size, I walked up the stairs to stand with two trembling feet on a stage facing the eyes of hundreds, praying His word to move in power. There was more pleading than preparation and nerves than notes... but "for such a time as that was I appointed". I sensed that He was deliberately setting the stage to show up and show off. So sickness and all, He set me aside that He might be glorified indeed! The theme of Mark 12:29-31 rang out loud and clear that weekend! I John 4 expounded the greatest commandment in even further depth. Part 1: The story of love- we all have a story of love, or should I say lack there of, that beckons us deeper into Love's story. I shared my broken but beautiful ( I am learning) bow-less story on the eve of night one. Oh I am grateful to Christ for allowing me to wait on earthly love that I might taste of His in the rich way, only pain could have fostered for me. 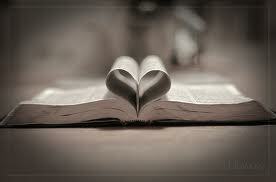 Part 2: To LOVE the Lord with ALL faculties is to live IN Love....In love with Love and the way you are loved. I John 4:19 sums it up: We love only because He first loved. FREEDOM! True love even for the Father is not and cannot be manufactured. So one has to look at Love and fully enter into it before an extension of love is given. To be consumed and awed by His love for us, this unexplainable agape fervor, is to then have agape authored in us back to Him. Wow! Part 3: To love others you must first love yourself. Here in lies the great challenge! Do we really love ourself? Self centered, at times. Self protective, often. Self aware, constantly. But self love- true love of who, why, and how He made us with gratitude in the DNA of that love? Umm, I dont think so. This is what He longs for us to learn... "love you the way I do. Get over yourself, stop thinking of your largeness or smallness. Just permit yourself to forgive and love you with the ardor I have for you period. To reject this is the height of arrogance." To say that you are unlovable to the King who died in proof that you are is a height you dont want to climb. So like Paul said, "I am what I am by the grace of God" and like David reminds us " The King is enthralled with your beauty"... We know that He adorned us with His image in mind- that is enough to say, " I love you, cause He does". This out of body, beyond explanation, so good that it is truth kind of love invigorates us then to love others with abandon. Loving others is a byproduct of the seamless devotional flow from the Father to us and up through us back to the Father. These high school girls and all of us in the sanctuary that day encountered Love, never to be the same. True Love is not a transaction as much as it is a transformation. I was an eye witness this weekend. The eternal fruit of love is still blooming in hearts all over... mine included. Despite a deep need for rest and recovery, my spirit had communed with Love in one of the sweetest ways lately due to my utter need of Him. You see, to love God deeply is to need Him greatly. I taught on Love, but He wanted me to ultimately be a student of it. So I learned of Love this weekend I say instead. Humbled and in love with Love, I crawled into my crisp white hotel bed when all was silent, still with tissues near by, and let the tears fall with exhaustion and exhilaration in each drop. He fills up and pours out so uniquely through us if we merely step aside...The sickness removed me to the degree that He was the only one able to do all that He had envisioned. His Word never returns void but always accomplishes what it was sent out to do. Truly all we need is Love. I am blown away at the powerful of prayer in asking God to open doors in order that I may steward the content He has birthed in my heart by communicating it to an audience. I am here in LA and have been given the sweet opportunity to share on John 15: Intimacy over Activity to the Young Marrieds at Belair Pres. Church this Sunday. Thank you Katherine and Jay for such a sweet God granted door to share His heart with those women. Then the Lord has opened the door in Montgomery this March (9-11 weekend) through an event called "All we need is Love". It will be a large group of high school girls listening to the identity truths of Scripture, God's story in mine, and a charge to Love Him with all their heart, soul, and mind. What a humbling answer to prayer both of these open doors are!